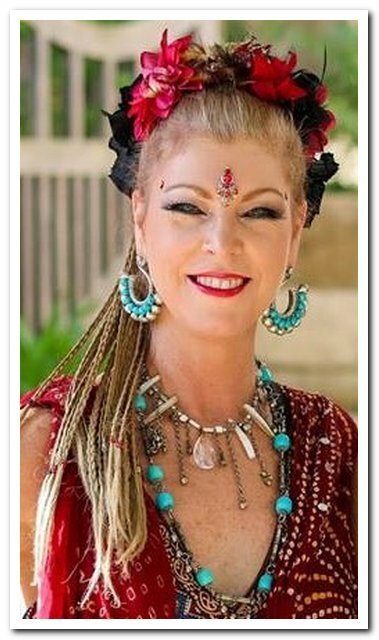 Class description: Join Catherine for a fun, belly dance class, integrating traditional oriental and tribal styles. A great way to exercise your body and stimulate your mind – with a bit of added GLAM!! Class description: This class will be available for students who come regularly to the Blue Mountains workshops and will encorporate Choreography in a variety of different fusion styles as well as props and zills. Please contact Devi to see if this class is suitable for you. Class description: This class will change from week to week and is typically used as rehearsal for Ghawazi Caravan but at times also used to work on Advanced steps, combinations, concepts and formations, new material in a variety of styles and choreographies which students attending intermediate can also join in on. Please contact Devi to see if this class is suitable for you. 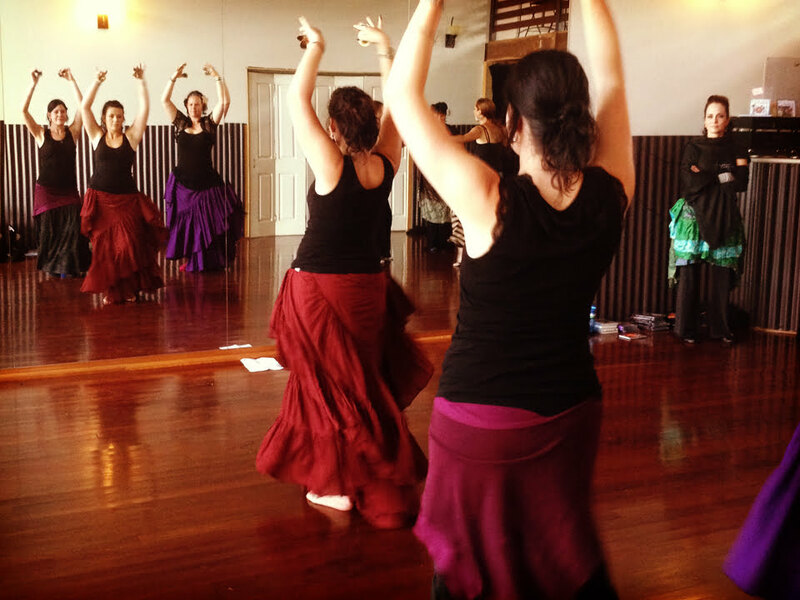 Regular, Fun Workshops with Devi in the Blue Mountains. Devi will be teaching regular workshops in the Blue Mountains. Workshops will be open to the public and participants may have the opportunity to perform at local community events. Revision classes will happen 2 or 3 times per term. To see if one is scheduled soon: Upcoming Events. Join other like-minded ladies looking for a gentle, fun way to exercise your body and stimulate your mind – with a bit of added GLAM!! Beginners’ class, integrating traditional oriental and tribal styles. Ideal for ladies of all ages. Bellydance is an active and muscular dance and a great form of exercise. It is important to be dressed appropriately. Wear something fitted and stretchy or loose and comfortable, similar to gym attire. We want YOU to be comfortable in class. There are no set rules to revealing or hiding your belly for adult classes. Bare feet or jiffy type slippers. You can wear a hip scarf or coin belt for accenting hip movements if you so desire. Please NO jeans, school uniforms, non stretch pants, and tight skirts. They are too restrictive. A veil (big scarf) is optional for adult classes as we may use one for warm up from time to time. A dance bag is ideal, this way items won’t be forgotten for class. For more info, drop us a line or simply come along! Regular workshops are scheduled. See our workshops page. Devi is also available to give a written appraisal if you send in a video or DVD (not longer than 30 minutes). For more details on video critique, please contact Devi. If you are interested in learning more about American Tribal Style Bellydance®, then please contact us.